Quantize Recordings is proud to have the phenomenal sounds of Beloved associated with our brand. His first album Hopelessly Romantic, encapsulates Soul, R&B, Afro, and Latin elements created by an incredible roster of talented artists and musicians. 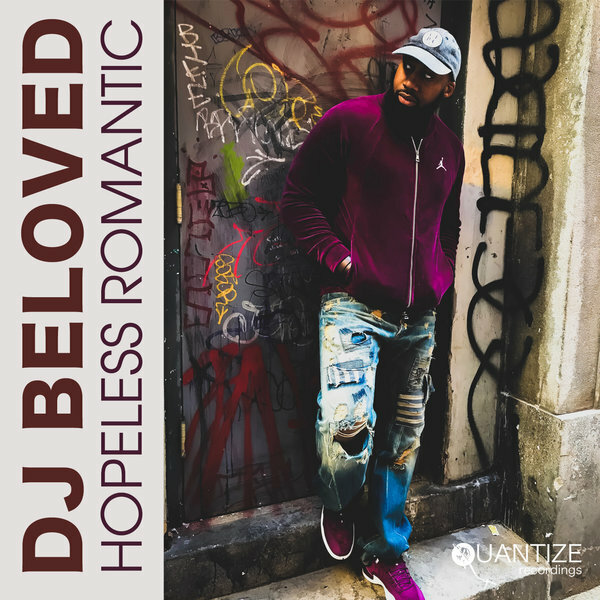 It’s an album that includes various sounds that have inspired Beloved as a DJ, Songwriter and Producer. His unique sound and dedication have made him a staple in dance music throughout the United States. This album includes some of the world’s finest musical talents. Singers include Will Downing, Jocelyn Brown, Monifa, Gerideau, Sheree Hicks, Tasha LaRae, Reggie Steele, Roland Clark, Sheldon So Goode, Nova Fronteira, Nia Carrol and Michael De’Von, Honey Larochelle, Syleena Johnson, Miranda Nichole, Shane the Golden Voice, Storm, Fuzz, and McLeod working with producers, musicians, and writers like Jihad Muhammad, Kai Alce, DJ Spen, and Sting International. The album credits alone guarantee listeners a quality musical experience. Executive producers: DJ Spen, Sting International, Kevin Hedge, & Derrick Brown. If you’re already aware of Beloved’s talents and skills you’ll understand why we believe this 24 track album is a dancer’s delight. Written, produced, arranged, recorded and mixed by Barend-Jan Beljaars & Geronimo Latumeten. Vocals Written and Performed by Jocelyn Brown and Lorraine Lucas. Vocals recorded by Lorraine Lucas. Remixed by Sting International utilizing parts from "Jihad Muhammad's Bang The Drum Dancer's Mix", "DJ Beloved Biz Groove Mix" and "DJ Beloved Biz Groove Synth Mix"